AMZ Reviews UK is AMZ Review Trader’s sister site—AMZ Reviews—and specifically for UK reviewers. Their marketplace has unique product, though similar to the sister site in that it also has kitchen gear, apparel, household items/decorations, electronics, jewelry and more. This was the first site I joined, must be over a year now as my last request was 238 days ago, as I fell behind and forgot about it during a lot of re-decorating and sorting my flat out lol. Of course my ranking went rather low, so when I started it again out of 30 products only 2 were accepted. then after I got a 3rd accepted after applying for more, and leaving back a review, my rank was restored back to what it was and my approvals are back to 90% accepted. 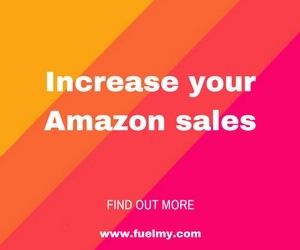 I really like this site as most are Fullfilled by amazon, meaning if you subscribe to amazon prime, you get lots of free or cheap products with is worth the £7.99 subscription to amazon prime. HOWEVER if you don’t, you have to pay £3.99 per item to post, you cannot combine any of the items into 1 parcel sadly, due to the way the codes work. But I have had sucessfully tried new products for cheap or free, and I always give my honest review and most sellers are really decent checking how things are going. In fact, some of the stuff im so impressed i’ve bought them again at full cost to use or gifts etc. Just thought i’d comment how I love this website and so far my favourite as its easy to use and sort out in categories. Thanks for your insight to this program and the ranking system. About giving the items you receive as gifts…there is nothing wrong, nothing illegal about that at all. You are free to give those items away to any one you wish. You just can’t sell them. I joined today and the products are all plastic JUNK…. THERE IS NO WAY TO UNSUBCRIBE. DONT SIGN UP WITH THIS GROUP. THEIR EMAIL INBOX IS FULL SO THEY DON’T REPLY TO YOU. JUNK. JUNK….JUNK! I got products day 1 and nothing since. Not sure what I did wrong. I can still request products but nothing gets accepted or not approved. Any ideas?